Air Charter Advisors arranges private flights and air charter services in Shreveport, the third largest city in the state of Louisiana and the seat of Caddo Parish. Shreveport is separated from neighboring Bossier Parish and Bossier City by the Red River, and it’s known as the educational, cultural, and commercial hub of the Ark-La-Tex region. Choose from thousands of private charter planes for your flight, the best rates and prices on Shreveport air charters, and the highest safety and service levels in private aviation. 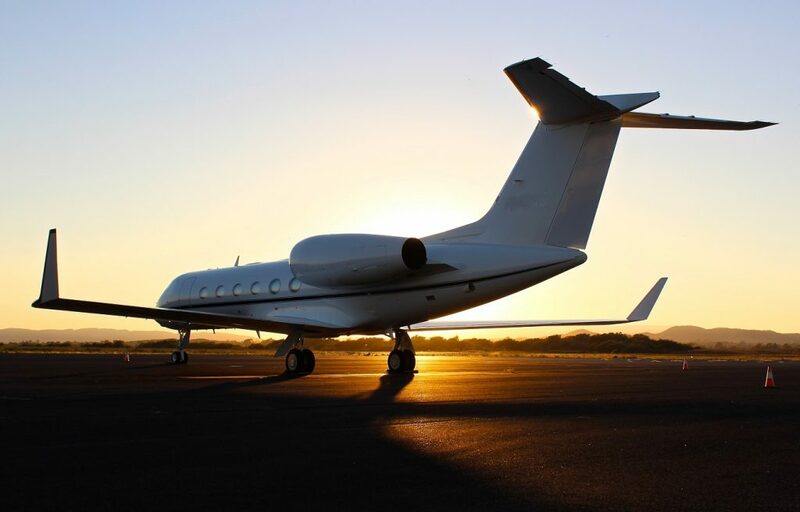 Our brokers have more than a decade of experience and access to every charter plane for your flight, leveraging our buying power to connect you to the best deals on every flight without compromising comfort, quality, or safety. Discuss the all of the aircraft and airport options with our Shreveport jet charter brokers at 1-888-987-5387. You can also request a free quote by emailing us with information about your upcoming flight. We’re available 24 hours a day to book jet charter flights to Shreveport, LA or to handle any private aviation requests throughout Louisiana. Many of our clients that arrange jet charter flights to Shreveport, LA arrive at one of two main airports within 5 miles of the city center. Shreveport Regional Airport (SHV) is suitable for aircraft on larger charter flights, complete with a private terminal and a $30 million cargo facility. 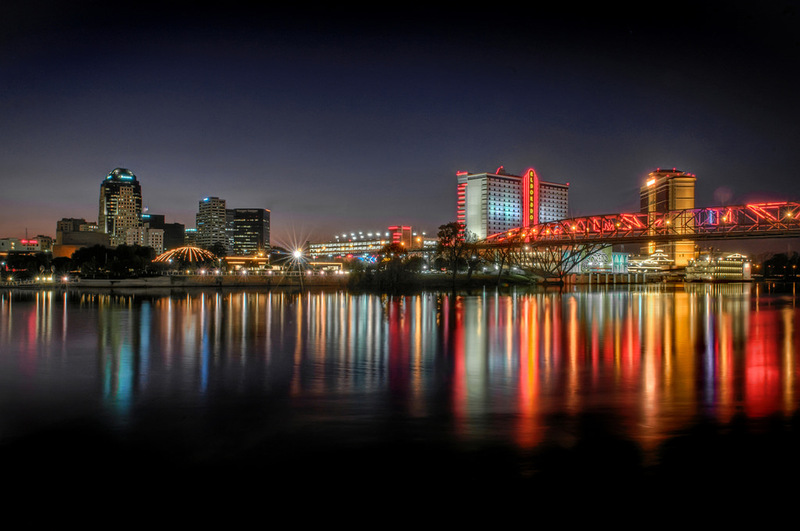 Located on the opposite side of I-20 and US-71, Shreveport Downtown Airport (DTN) offers a downtown arrival wrapped by the twisting Red River. Additional options located between 20 and 35 miles away are available in Louisiana, Texas, and Arkansas. Located right in the heartbeat of the city just 4 miles from downtown, Shreveport Regional Airport (IATA: SHV, ICAO: KSHV, FAA LID: SHV) is the preferred choice for private flyers in Caddo Parish. Serving primarily as a commercial airport but classified by the FAA as a “small hub”, it totals more enplanements than all small hubs except Mobile Regional (Mobile, AL) and Fort Wayne International (Fort Wayne, IN) , outranking popular jetports including Jackson Hole (Jackson Hole, WY) and Yeager Airport (Charleston, WV). The airport has two long private jet runways, and is home to AeroPark, an 800 acre industrial park offering access to railways and two interstates, warehouse and distribution facilities, and private office space. The Aeropark is part of Louisiana’s Enterprise Zone, offering substantial tax credits for new jobs, and sales tax exemptions on tools, equipment, and machinery. It’s also a U.S. Customs Port of Entry where products can be shipped and cleared faster than at coastal ports and while eliminating wharfage fees; and a Foreign Trade Zone, an area legally separate from U.S. Customs that allows business to bring in products and goods without going through the formal customs process until they leave the FTZ . Located in the heart of the city, Shreveport Downtown Airport (IATA: DTN, ICAO: KDTN, FAA LID: DTN) offers two runways for charter flights, and an FBO terminal with executive an luxury aviation services. DTN was the city’s original airport, but growth was limited from its close proximity to the Red River. Today, the airport still sees nearly 60,000 plane movements annually, with around 150 aircraft based on-site. Charter a private jet to Shreveport, the seat of Caddo Parish in northwest Louisiana. The city rests along the banks of the Red River, and is the third largest metro area in the state, home to nearly 450,000 residents. Founded by the Shreve Town Company, a corporation established to develop a town at the juncture of the Red River and the Texas Trail, Shreveport started as a popular trail stop in 1836 en route to Texas and Mexico, and continued growing throughout the 20th century. This growth exploded after the discovery of oil in Louisiana, and Shreveport became a national center for the oil industry, with Standard Oil of Louisiana (acquired by Standard Oil of New Jersey and now part of ExxonMobil) and United Gas Corporation (now part of Pennzoil) once headquartered in the city. Today, Shreveport is the educational and economic center of its region, with several university campuses including LSU, Louisiana Tech, and Southern University. AT&T, Chase Bank, Regions Financial Corporation and APS Payroll have operations or headquarters in town. Fortune magazine ranked Shreveport the “#1 place to start a business” in 2015. Located in an area of Louisiana designated as “Sportsman’s Paradise”, Shreveport offers numerous lakes, rivers, and recreational activities. Pine forests, cotton fields, wetlands, and waterways mark the outskirts of the city. There are several recreational areas to enjoy the outdoors, including Bickham Dickson Park, Cross Lake, Duck Pond, and the Red River Bicycle Trail. Shreveport is also home to several golf courses, with challenging everyone from amateur to pro. Quality rounds are are available at the East Ridge Country Club, Southern Trace Country Club, and the Crooked Hollow Golf Club. Got a hook in your swing? Stop by the David Toms Academy 265 near Southern Trace. The mansions along Fairfield Avenue offer a glimpse into the city’s history of wealth, with mansions built by tycoons of the oil industry during the 1920s and 1930s. Many of these houses in the highland section have been placed on on the National Register of Historic Places. These include the former home of several notable residents: Lieutenant Governor Thomas Charles Barret, who served early in the 20th century; Joshua Logan, a Broadway director; Ruffin Pleasant, a former governor; George W. Robinson, a physician and developer; Zehntner Biedenharn, a Coca-Cola bottler; Ewald Max Hoyer, the first mayor of Bossier City (1907); and John B. Slattery, a major real estate owner, whose former home is one of five remaining structures in Shreveport designed by architect N. S. Allen. Located north of the warm, swampy bayou, the Shreveport area is home to a humid subtropical climate, and abundant rainfall. The city is also home to a National Weather Service branch, providing forecasts and warnings for the Ark-La-Tex area. Spring and summer seasons are humid, with temperatures passing 90°F and relatively high humidity; summers also bring severe thunderstorms with heavy rain, hail, strong winds, and the potential for tornadoes. Winters are typically mild, with the possibility of ice and sleet storms. As the cultural and entertainment hub of the Ark-La-Tex region, Shreveport offers a variety of accommodations, from budget hotels and standard chains, to a variety of gaming resorts and bed & breakfast inns. Located just blocks from downtown casinos and restaurants, the Remington Suite Hotel & Spa provides luxurious rooms and amenities for private jet travelers staying in town. For travelers looking for a more low-key stay, check out the Fairfield Manor & Fairfield Place B&B. When booking private jet charter flights to Shreveport with ACA, you’ll enjoy instant access to thousands of charter planes based in Louisiana and around the globe, allowing our brokers to locate the best aircraft and the best deal for your trip. All the private charter planes we arrange are certified for FAR Part 135 or 121 (or foreign equivalent) operations, with pilots who carry high levels of experience flying the aircraft type you hire. Our brokers review third-party audits, making sure every plane and pilot meets our top-of-the-industry safety standards. Request free quotes from our Shreveport jet charter brokers, and select the ideal aircraft based for your goals and budget – charter a light jet to fly within the Southeast, hire a comfortable super midsize jet for flights across the country, or charter the most luxurious private jet when traveling internationally. Check out our Aircraft Gallery for more information regarding all of the planes available. Looking to fly to northwest Louisiana or eastern parts of Texas? Private jet airports are available in Minden, Springhill, and DeSoto Parish in Louisiana, and Marshall in Texas. Smaller charter planes can utilize any of the following airports, including smaller runways in Jefferson and Carthage, TX. Request a Quote or give us a call at 1-888-987-JETS (5387) to speak with one of our Shreveport Private Jet Charter brokers and arrange your private flight to Louisiana. We offer access to thousands of charter planes no matter where you’re located, and have the experience and relationships to offer the best deals at the highest levels of safety and service.